Just before half-distance, the green flags were waved to get racing underway again after the 10th safety-car period and 13th race neutralisation (three of the FCY periods didn’t turn into SCs). In total, some 2h 12m has been lost to yellow periods. The rain, which fell at times heavily, but nevertheless intermittently for around an hour, had just about stopped by the 12-hour mark, but the track was still treacherous, especially for those out on slicks, which included the race leader Engelhart in the #63 Lamborghini. For reasons unknown, the technical pitstop for the #2 WRT Audi over-ran by 30 seconds, dropping it out of a points-scoring position at that mark. 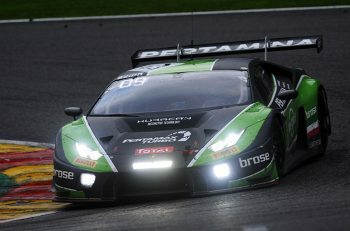 At 4:45am, Engelhart brought the Lamborghini into the pits for its technical stop, after just eight laps of his stint and a last-minute decision to change driver to Mirko Bortolotti. The Lamborghini stop handed the lead of the race to the #85 HTP Mercedes (Fabian Schiller driving) the first time that car had led. The way the pitstops had played out left the #8 Bentley of Andy Soucek to lead the charge to the pits after a clean 45 minutes of racing. With 11h 15m of the race remaining, the Bentley mechanics set to the task of changing the brake disks and pads on the #8 car. The stop went smoothly enough, but it dropped the Crewe machine back to 12th place. 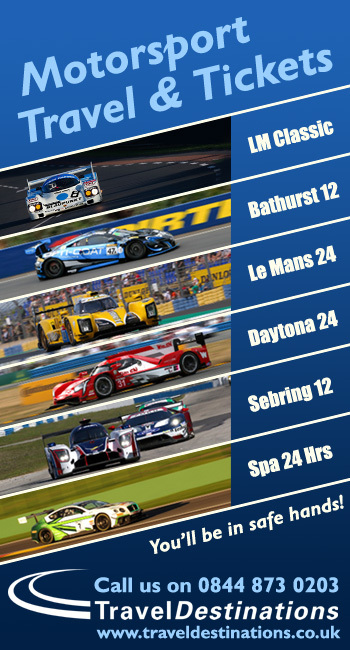 After the Bentley, in came the two WRT Audis, #1 still leading #2. In the #1 car, Rene Rast handed over to Antonio Garcia, while Connor de Phillippi stayed at the wheel of the #2. Both were switched back to slicks as the rain continued to stay away and a little light began to brighten the sky. Next time around, Schiller brought the #85 Mercedes in for fuel and tyres and to hand over to Baumann, allowing Fisichella to take over the lead again in the Kaspersky Ferrari for a lap before making his stop. The Kaspersky team went for the brake-disc change at this point. Unfortunately, by the time the Ferrari rejoined, both WRT Audis had gone past, these three being directly comparable now all had completed their technical stops. 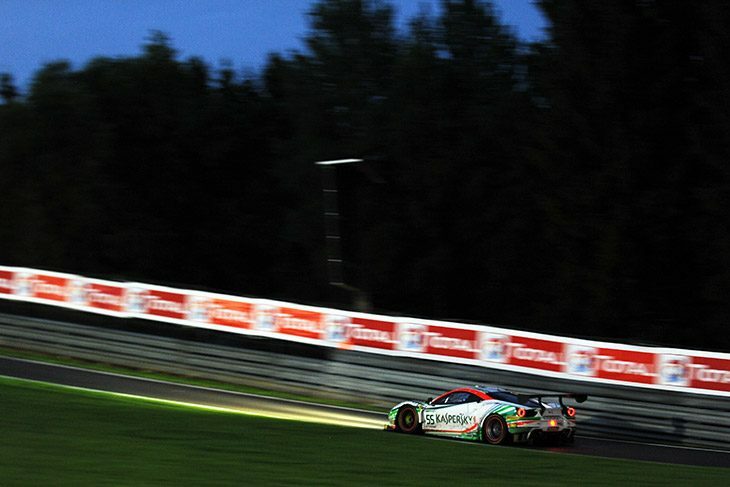 Just after 5:30am, the track went to another FCY due to an incident down at Stavelot (T15) between the #77 (Barwell Lamborghini) and the #11 (Kessel Ferrari), both Pro-Am cars. The two leaders, the #90 AKKA Mercedes and #85 HTP Mercedes, both stopped, but Baumann in the HTP car took fuel only and got back out in the lead, both cars continued ahead of the #1 WRT Audi, but crucially, the #90 and the #1 had both done their technical pit stops. Only two green-flag laps were possible before the track went under caution again. 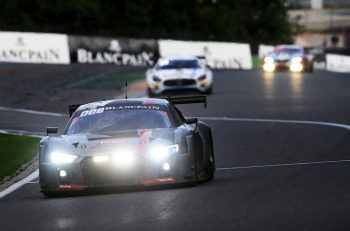 This time it was due to a more serious incident as far as the overall leaders were concerned, in that contact was made at La Source as the second-place AKKA Mercedes (Marciello driving) went up on the inside at La Source and hit the Kaspersky Ferrari. Cioci in the latter ran wide but continued, then arrived at Eau Rouge to find the steering broken, so he ploughed straight on into the barriers on the outside. More rain is forecast around lunchtime, before the end of the race.